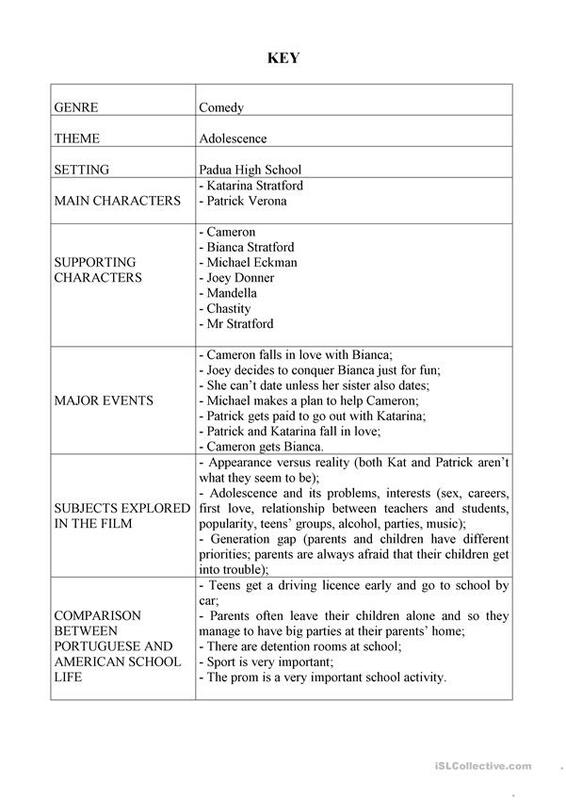 This is a worksheet on a nice film about teens and school life. Most teens love watching it. This downloadable handout is meant for high school students at Intermediate (B1) level. It was designed for improving your pupils' Writing skills. The answer key is provided, too. Also a member of ESLprintables.com.